It’s A Pillow It’s A Pet…. For months Phoebe would see this commercial and just wail with excitement yelling pillow pet for the whole 30 seconds the commercial would run. If it was playing in the playroom and Phoebe wasn’t in that room all Py had to do was scream pillow pet and phoebe was on her way! 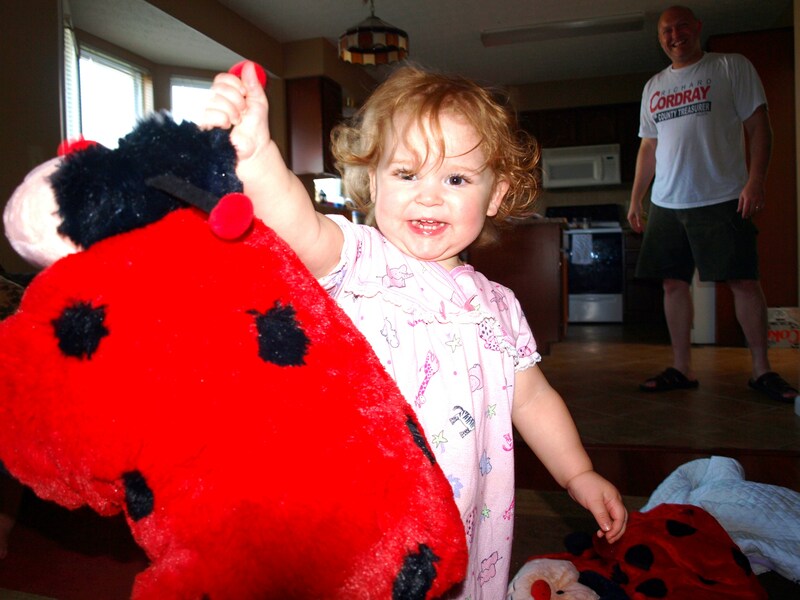 All spring long we heard about these pillow pets Py already told us she wanted the unicorn and the bee, Phoebe was so excited when she saw the lady bug that we guessed that would be the one for her. 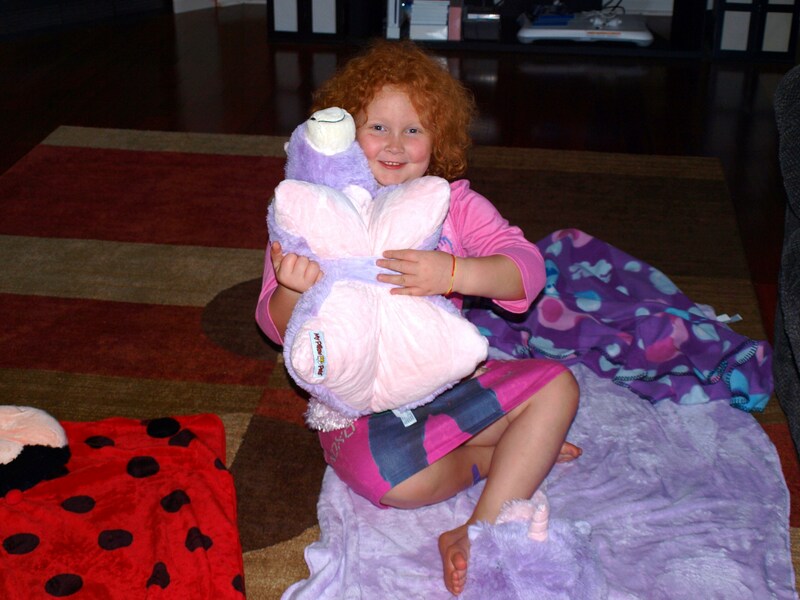 So Dad of 2 Peas and I decided for their birthdays we would order the Pillow Pets. I got online as the commercial instructed (we had looked at a few stores but no one carried them yet…they do now!). 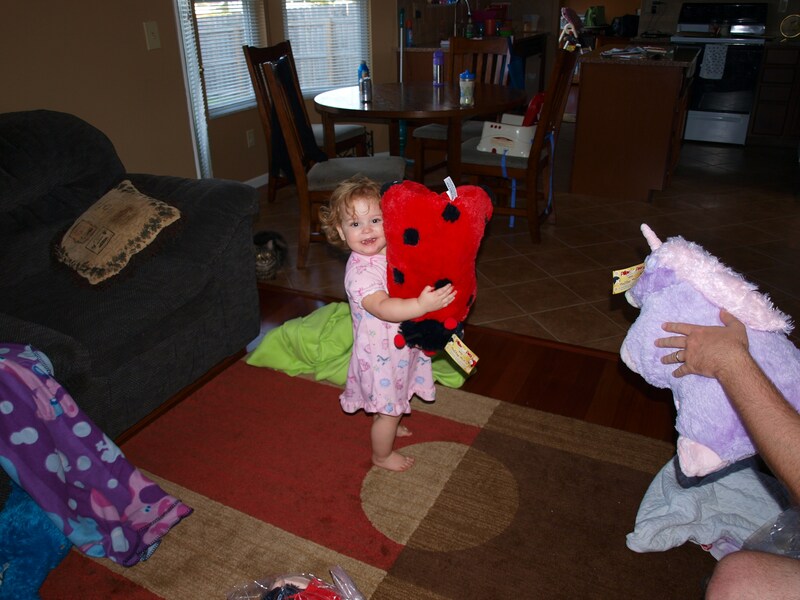 There they were all these pillow pets, a hippo, a bee, a bear, a unicorn, a panda a frog! I wanted to get them all for the girls they were so cute no wonder they got sucked into the commercial. 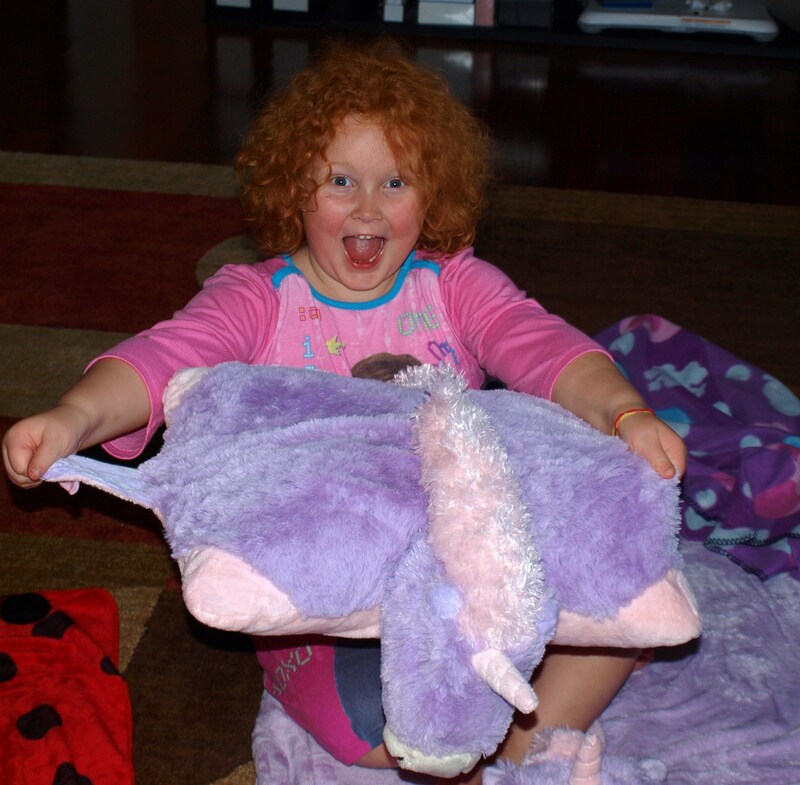 I ordered….the unicorn and the lady bug and we waited. We knew we would give them to the girls at the same time right before Py’s birthday. 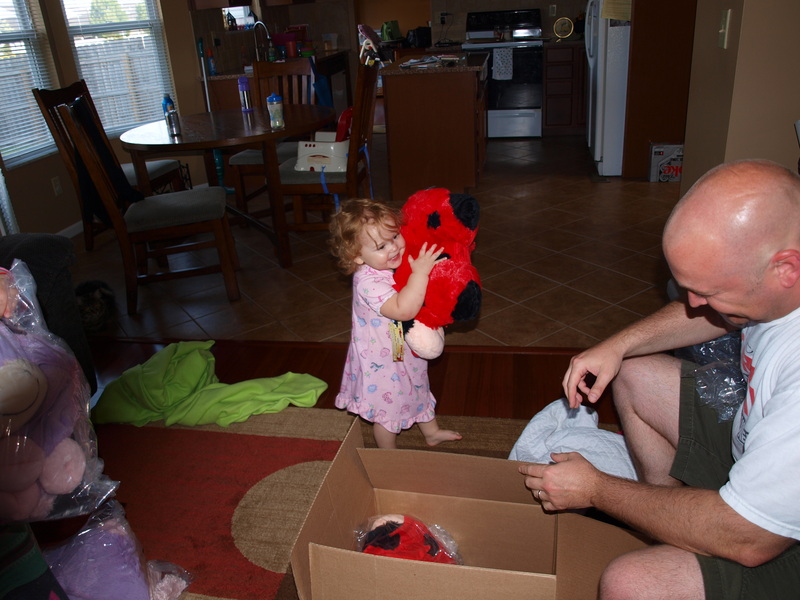 When I got home after work just a few weeks later there was the box I knew immediately it was the pillow pets! 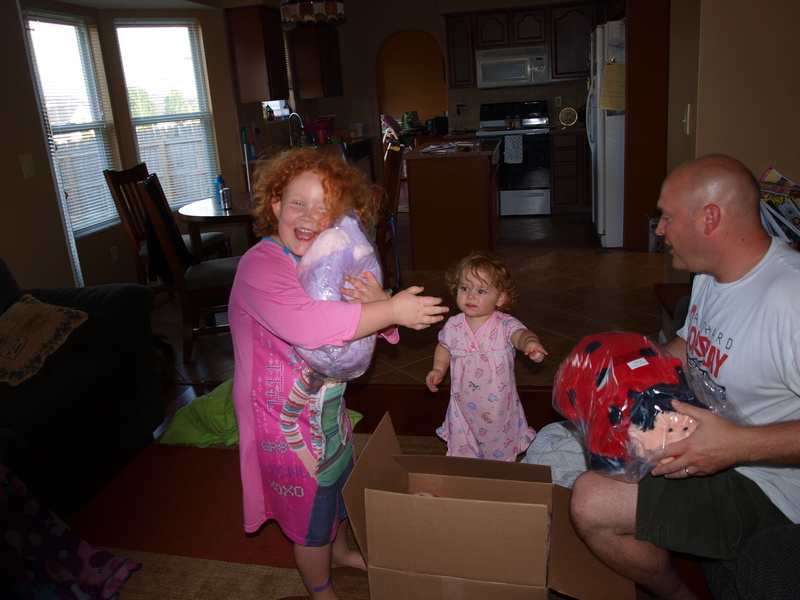 So after dinner Chad opened the box……. Py was right there wanting whatever it was that was in the box all of us yelling for Phoebe to come see. What’s in the box Daddy??? The looks on both of their faces were priceless here they were all they had been asking for, for months and months. But wait Daddy is there more in there??? I will just love on this while you look….. Yes why there was more! 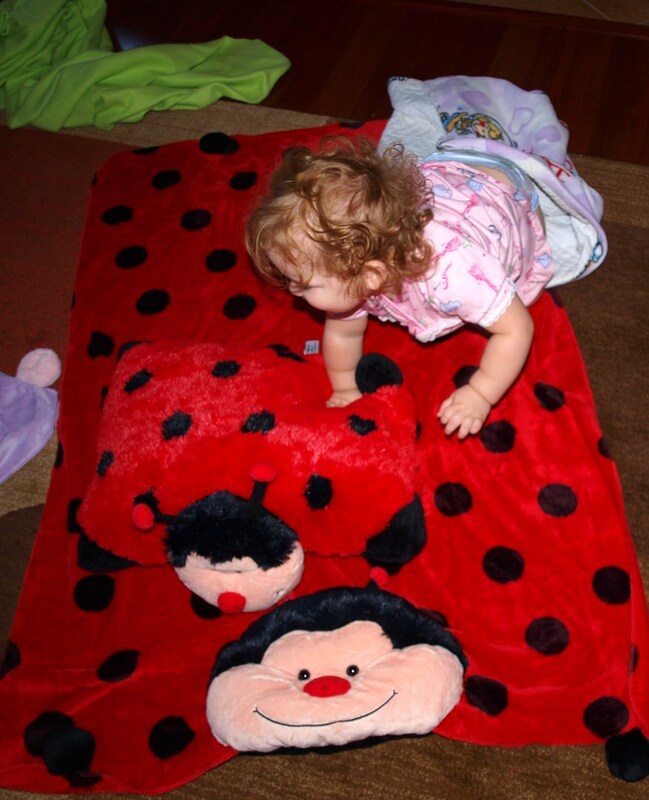 Mommy ordered the matching Pillow Pet Blankets!~ And they were just as super soft as the pillows and huge ! Chad loved watching the peas all excited he had to keep helping Phoebe making it a pet….she would turn it into a pillow, run it back to him to make it a pet again…over and over and he laughed every time! Why does it look like the oldest pea is about to swipe that lady bug??? 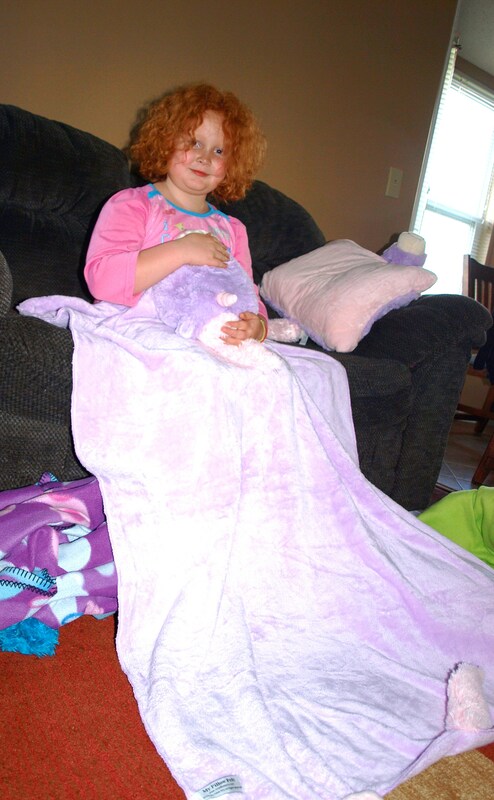 Let Py demonstrate…..It’s a PILLOW…..
Its a PET…..Its a PILLOW PET! So soft they would rather lay on them then wrap up with them. ← A Smirk is just an undercover Smile! I just saw these in Target the other day and thought My kids would have loved those when they were little! 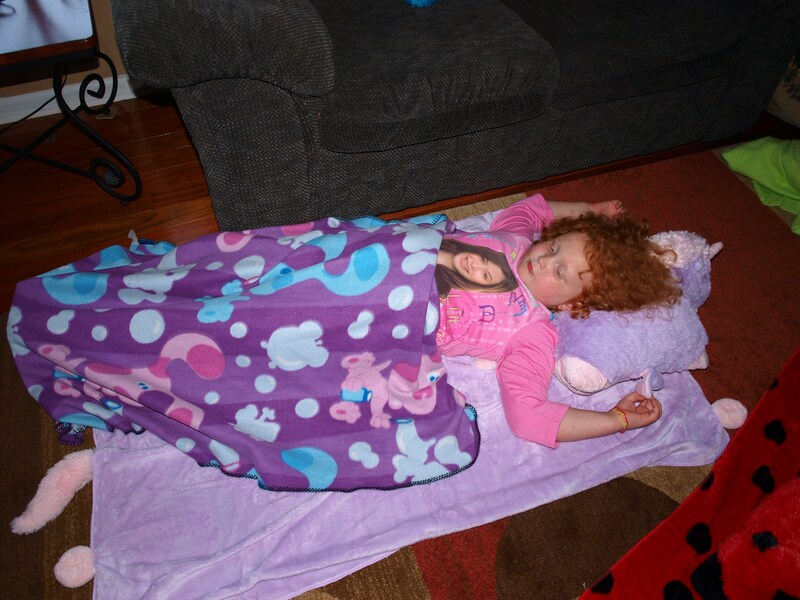 How cool that you could order the matching blankets, too. 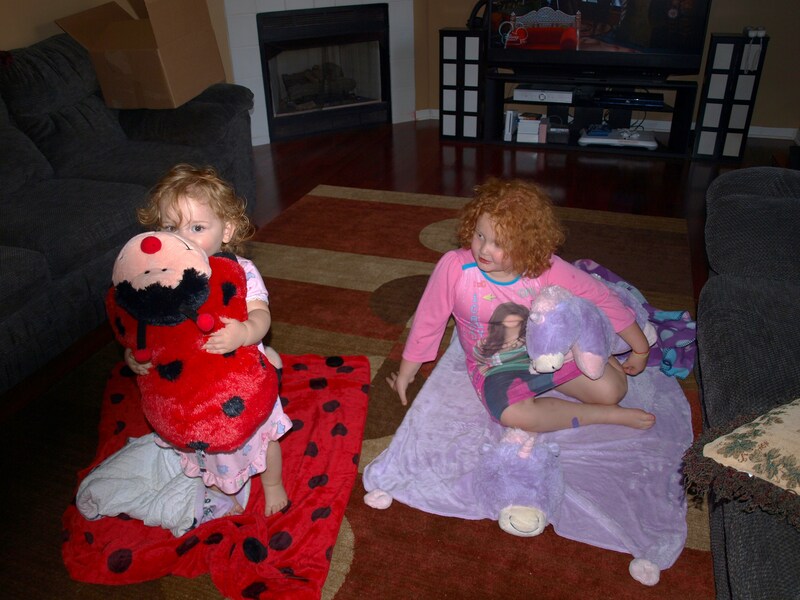 The girls and their pillow pets pictures are adorable! Phoebe is growing up so fast. They sure were excited! They really were! And yes she sure is talking up a storm, never letting me get a word in edge wise LOL !